Fat burning workouts must be purposeful. You can burn belly fat and increase lean muscle to look better now! Comprehensive fat burning exercises utilize a 3-prong attack to help you get the body you want. Workouts to burn belly fat are decidedly focused and involve the elements of good nutrition, strength building with weights, and interval training as opposed to long, slow cardio. You do not have to be unhappy any more with the way you look. You can easily learn the basic old-school elements of getting rid of belly fat and losing love handles. * (1) You CANNOT "exercise-off" belly fat. * (2) Fat burning begins IN THE KITCHEN. The secret to losing stomach fat starts with YOU making way better food choices, reducing your portions, and eating like an athlete. Fat storage is directly related to ONE element...calories. In order for you to get rid of belly fat and get the body you want, you must understand how calories affect YOUR body, which foods build lean muscle mass and which foods are most easily stored as fat, and how to establish a calorie deficit week-after-week to burn fat. * First, let's deal in reality. It took several years to get a layer of fat covering your abs, it will take some time and work to burn through it. Depending on your age, your hormone levels, and your commitment to optimal nutrition it could take 6-9 months. * Yes, I know there are websites promising body-builder abs in 6 weeks, but that is simply not possible. Visit them, but DO NOT allow them to take your money. * Your biggest enemies to ab definition are sugar foods, fast foods, and processed foods. You will start seeing results when you get them out of your regular diet. * Eat consciously. Know what you put in your mouth. * Train with a purpose. 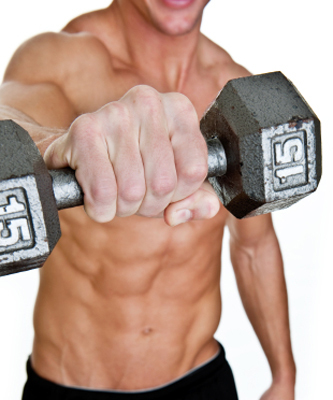 Fat burning workouts must focus on strength building weight training that is intense, and lasts 45-60 minutes. * Adding an extra 1000 crunches WILL NOT help you burn belly fat any faster. You must engage in a full-body strength building workout each session to get consistent results. * The best strength training movements are: squats, pull-ups, dips, different forms of benching, rows, dumbbell military presses, deadlifts, and cheat curls. * Although your weightroom workouts must adhere to fundamental lifts, you must continually change your exercises as well as your set/rep scheme. * You must include cardio 4-5 days each week. Two of those sessions need to be structured and intense interval workouts. This is how Olympic and professional athletes train. * It centers on YOU understanding what foods will best help you build lean muscle mass, as opposed to being stored as belly fat and love handles. * You will be given a complete understanding of how strength building workouts burn fat while you rest. * Mike's eBook is NOT just pages of ab exercises (there are 20), but a step-by-step guide for fat burning workouts. * You will engage in eight levels of strength training workouts and eight levels of abdominal workouts. * You will be expected to commit to purposeful, brief, and intense training that combines elements of lean mass building, interval workouts, and optimal nutrition choices. 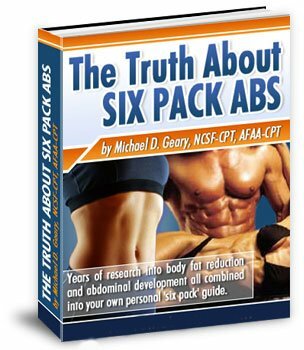 If you have been searching for proven fat burning workouts to help you look better and become more fit, The Truth About Six Pack Abs deserves your careful consideration. Why do women seek men with the Lean Hollywood Look?